DUPONT SCROGGIN, DOLORES KAY JAMES, 65, died October 25, 2009. Funeral: 11 a.m. Thursday, Centerville Baptist Church. Visitation: 4-8 p.m. Wednesday. Morgan & Nay, Madison, IN. Mrs. Dolores Kay James Scroggin, age 65, of Dupont, Indiana, entered this life on July 31, 1944, in Scott County, Indiana. She was the daughter of Roy Vincent & Laura Eliza Layman James, both of whom preceded her in death. She was raised in Jennings County and was a 1962, graduate of Dupont High School. She attended classes for further education through her church. She was united in marriage on Sept. 6, 1963 in Commiskey to Ronald T. Scroggin. To this union arrived three sons to bless their home. The family resided in Jennings County for 21 years then moving to the Dupont Community where they resided the rest of her life. She was a faithful member of the Centerville Baptist Church near Lovett, Indiana. She enjoyed reading and studying her Bible, she loved traveling especially on train trips, working in her flowers, mowing her lawn , collecting plates and bottles. She was a devoted wife, mother and grandmother. Dolores died Sunday, October 25, 2009 at 7:25 a.m. at her home near Dupont, Indiana. Dolores will be missed by her loving husband: Ronald T. Scroggin of Dupont, Indiana; her loving sons: Phil Scroggin & his wife: Rebecca of Madison, Indiana, Robert Scroggin & his wife: Cynthia of Butlerville, Indiana, Paul Scroggin & Rachel of Scipio, Indiana; her loving brother: Dennis James & his wife: Ramona of Greenville, Ohio; her adoring grandchildren: Natasha, Katie, Andrea, Jeremy, Jennifer, JoAnna, Jacob, Alyssa, Jeffrey, Kelsey, Briana, Braydon, Kayden, & Bryson, several nieces, nephews & other relatives. She was preceded in death by her parents: Roy Vincent & Laura Eliza Layman James; her brothers: Dale & Dorrell James; and her infant sister. Funeral services will be conducted Thursday, October 29, 2009 at 11:00 a.m., by Pastor Paul Penegar,at the Centerville Baptist Church, 1555 West County Road 300 South near North Vernon, Indiana. Interment will follow in the Dupont Cemetery, Dupont, Indiana. Friends may call Wednesday from 4:00 p.m. - 8:00 p.m. and Thursday from 10:00 a.m. - 11:00 a.m. until time of the service at the Centerville Baptist Church near Lovett, Indiana. Memorial contributions may be made to Centerville Baptist Church. Cards are available at the funeral home. Scroggins, Verna Hazel House (29 Jan 1922 = 25 Oct 2009) [38213:P]. Wife of Scroggins, Carmon (31 Oct 1919 - 23 Nov 1994) [38215:P] [FaG:49369620]. SR. RICHARD VIDRINE, O.P., died Saturday, October 17, 2009. Sr. Richard was born May 28, 1913, to the late Homer and Alice Juliat Vidrine. She entered the Dominican Sisters of Houston on September 7, 1930. She was preceded in death by her siblings Estelle, Wallace, Matilda, Jeannette, Bernice , and Emily. She is survived by her nephews and nieces Robert Guillet (Betty Lou), Jerry Scroggins  (Pat ), Barbara Nilsson  (Nils ), Richard Scroggins  (Cheryl ), Ronald Balsam, Rita Hokanson (Ronald), Neil Balsam (Beth), Raymond Balsam (Sedie), Charles Vidrine (Ercyl), and Emma Vidrine. Sister ministered as a teacher and principal in St. Mary School (Port Arthur), St. Anthony Elementary and High School (Beaumont), St. Mary (Taylor), Holy Rosary, St. Mary, St. Augustine (Houston), Sacred Heart (Galveston), Our Lady (Sulphur, LA), St. Francis de Sales (Riverside, CA), St. Elizabeth (Port Neches), and Sacred Heart (Austin). After retirement Sister continued her prayer ministry at St. Dominic Villa. Sister's body will be welcomed at St. Dominic Villa, 6504 Almeda Road, on Wednesday, October 21, at 4:00 p.m. Vigil of Christian Burial is scheduled at 7:00 p.m. Wednesday. Mass of Christian Burial will be celebrated Thursday, October 22, at 10:00 a.m., Rev. Isidore Vicente, O.P., presiding. All services are at St. Dominic Villa. Rite of Committal will follow at Forest Park Lawndale Cemetery. In lieu of usual remembrances, donations may be made to Dominican Sisters Retirement Fund, 6501 Almeda Road, Houston, TX 77021. SCROGGINS, Audrew Mae, 76, homemaker, of Georgetown died Sunday. Visitation 6 p.m. Friday, the Gabriels Funeral Chapel, Georgetown. Services 11 a.m. Saturday, Macedonia Baptist Church, Georgetown. Burial Citizens Cemetery, Georgetown. Scroggins, Glenna Mozell Carter (29 Aug 1920 - 17 Oct 2009) . Widow of Scroggins, Floyd Leon (10 Jan 1917 - 7 Aug 2001) . Scroggins, Lois Lucille ( - ) . Lois Lucille Scroggins, 67, Shafter, Oct. 15. Peters Funeral Home, Shafter. Services for George B. Scroggins, Sr., 85, of Andrews, will be 2:00 p.m. Saturday Oct. 17 at McNett Funeral Home Chapel with Rev. Bob Zap officiating. Burial will follow in the Andrews Old Cemetery under the direction of McNett Funeral Home. George died at Permian Regional Medical Center in Andrews Wednesday, Oct. 14. Survivors include, wife; Evelyn Scroggins, daughters; Billie Parrish, Glenda Scroggins, Jerri Scroggins, son; George Scroggins, Jr., half brothers; Bobby Scroggins, James Scroggins, sisters; Bessie Jones, Dorothy Johnson, half sisters; Sue Parker and Rose Scroggins, seven grandchildren and seven great grandchildren. McNett Funeral HomeGEORGE SCROGGINS, SR.
Services for George B. Scroggins, Sr. 85 of Andrews, will be 2:00 PM Saturday October 17, 2009 at McNett Funeral Home Chapel with Rev. Bob Zap officiating. Burial will follow in the Andrews Old Cemetery under the direction of McNett Funeral Home. George passed away at Permian Regional Medical Center in Andrews Wednesday October 14, 2009. He married Evelyn Brown on October 6, 1924 in Rayville, LA. George was a member of the First Christian Church and a retired drilling superintendent. He served in the Navy in WW II. Survivors include, wife; Evelyn Scroggins, Andrews, daughters; Billie Parrish, Midland, Glenda Scroggins, Odessa, Jerri Scroggins, Hunt, TX, son; George Scroggins, Jr., Odessa, half brothers; Bobby Scroggins, Abilene, TX, James Scroggins, Monroe, LA, sisters; Bessie Jones, West Monroe, LA, Dorothy Johnson, Monroe, LA, half sisters; Sue Parker and Rose Scroggins both of Monroe, LA, seven grandchildren and seven great grandchildren. Lela Estell Hammons Scroggins, age 87, died October 12, 2009 at MS Baptist Health Center in Jackson, Mississippi. She was born June 24, 1922 in Wesson, MS to Hattie Delilah Harrison and Eugene Newton Hammons. Lela was a descendant of the Daniel Beasley family, listed in the first families of Mississippi, who came to Mississippi in 1830 from Darlington County, South Carolina and settled in Simpson County. She grew up in Wesson, MS until her family moved to Yazoo County, MS, where she met her husband, married, and later moved to Hinds County. Lela was married for 59 years to Bob Scroggins , a Jackson homebuilder, who predeceased her in 1996. She lived in Jackson for over 50 years, before moving to The Hills of Crossgates in Rankin County. Lela and Bob maintained a large vegetable garden for the benefit of family, friends, neighbors, and the needy. Lela and Bob were members of the Jackson Rose Society and the Mississippi Rose Society. Their rose garden contained hundreds of roses, having raised them for competition, winning hundreds of blue ribbons. Lela and Bob donated their roses to civic organizations and churches, and always had fresh bouquets for their many friends. After Bob died, Lela moved to The Waterford Retirement Home for several years and lived at Highland Home Nursing Home for the past two years. Lela's hobbies included crossword puzzles, crochet, stitchery (embroidery and crewel), and spending time with her large family. Lela is survived by her four children: Bobbie Bryan (Bob) of Stillwater, OK; Midge Samsel (Howard) of Brandon, MS; Roland Scroggins (Annette) of Brandon, MS; and Billie Thompson (Tommy) of Brandon, MS. She is also survived by her 13 grandchildren: Steve Bryant (Carol) of Madison, MS; Michelle Gilliland (Jud) of Dallas, TX; Gina Nichols (John) of Plano, TX; Lisa Garza of San Antonio, TX; Stacy Ramsey of Madison, MS; Kimberly Gordon (Charlie) of Tyler, TX; Dawn McAuley (Mac) of Pontotoc, MS; Paige Sessums (Craig) of Jackson, MS; Leanne Pettit (Matt) of Irving, TX; Tiffiney Henderson (Evan) of Brandon, MS; Kristin Kerley (Kevin) of Meridian, MS; Cory Thompson (Shauna) of Brandon, MS; and Josh Thompson (Loni) of Austin, TX. Lela is survived by 31 great-grandchildren and her brother and sister-in-law, Luther and Delores Hammons of Madison, MS; sister-in-law, Edna Scroggins of Jackson, MS; sister-in-law, Rebecca Hammons of Yazoo City, MS; and brother-in-law, John Herrington, of Pineville, LA; numerous nieces and nephews, cousins and friends. Lela was predeceased by her brothers, John Earl Hammons, Clarence Hammons, W.D. Hammons, and her sisters, Lula Mae Ashley Cook, Flora Belle Harrison, Mary Emma Wiggins, Beatrice Whittington, and Burnice Hammons. Lela was a member of Crossgates Baptist Church. Services will be at 2pm Wednesday, October 14, 2009, at Lakewood Funeral Home chapel, with visitation from after 12 noon Wednesday, interment will follow services in Lakewood Memorial Park. Memorials can be made to Crossgates Baptist Church in Brandon, MS. The family wishes to thank all of the nurses and aides on Unit B at Highland Home, Susan and Allison (her social workers), Carolyn (her beautician), Stephanie (her manicurist), and sends love to Lela's best friend, Bernice Thornton, at Highland Home. Many thanks to Dr. Paul Van Landingham for caring for Lela for many, many years. Pruitt, James Donald Harvey 'Goober', Sr. 21 Oct 1941 - 9 Oct 2009) . 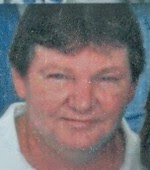 Husband of Scroggins, Shirley Marie (Pruitt) (15 Jan 1951 - 20 Oct 2007) [45129:M]. Denver. Husband of Ethel Lee Mucker; father of Joe H. Mucker, Jr., Joan R. (Anthony) Brooks and James R. Mucker; brother of Algertha (W. C.) Scroggins ; four grandchildren; a host of other relatives and friends. Memorial Services Saturday, 2:00pm, Scott UMC, 2880 Garfield St. to conclude. Copyright (c) 2009 The Denver Post Corp.
Terry Dean Scroggins of Frostproof passed away Monday, October 5, 2009 at his residence. He was born December 23, 1960 in Lake Wales to Jerrell Dean and Betty Ann (Wise) Scroggins; and moved to Frostproof from Phoenix, AZ in 1973. He was self-employed as a truck driver, and is of the Pentecostal faith. He loved drag racing, reading western books, watching western movies and watching wrestling. Terry was preceded in death by his mother, Betty Scroggins Saiz. Survivors include his wife Pamela Scroggins, daughters, Jennifer Lynn McElroy of Alabama, Betty Fay Marie Scroggins of Frostproof, Misty Michelle Kirk of Frostproof; sons, Thomas Earl Scroggins of Graceville, FL, Bama Wayne Scroggins of Graceville, FL, Mark Anthony Poe of Frostproof, Carlos Richard Poe of Frostproof; brothers, Tommy Scroggins of Phonix City, AL, Kerry Dale Scroggins of Samson, AL, Mark Saiz of Frostproof, Robin Saiz of Jupiter, FL; and 12 grandchildren. A funeral service will be held 10:00 AM, Friday, October 9, 2009 at Marion Nelson Funeral Home in Frostproof, with interment following at Silver Hill Cemetery. Visitation will be from 6:00-8:00 PM, Thursday, October 8, 2009. For those who wish, contributions may be made to the Moffitt Cancer Center. FROSTPROOF - Terry Scroggins, 48, died Mon 10/5/09 of cancer. Service 10am Fri 10/9/09 at Marion Nelson Funeral Home, Frostproof. Visit: 6-8pm Thurs 10/8/09. SMITH Cynthia J, 67, of Lexington, went home to be with the Lord Fri, Oct 2, 2009 at the St. Joseph Hospice Care Center. Born in Lincoln, IL, she was the daughter of the late Louis and Mildred Olson Stolz. Cynthia was a registered nurse at the University of Kentucky Medical Center for 34 years, having worked in the emergency room and then retiring from the Major Holding Room. A member of Centenary United Methodist Church, she was a member of the Stonewall Book Club, volunteered at "Best Friends - " and she was a member of Citizens Police Academy #27 in Lexington, KY. Cynthia loved to travel, her favorite place being Sedona, AZ and another love of hers was dogs. She is survived by her children, Brad  (Marta)  Scroggin and Carnee Ashley , both of Lexington; five grandchildren, Meredith , Brandon , Shelby  and Sloan Scroggin  and Lauren Ashley ; numerous cousins; best friend, Susan Tack-Adams and other close friends. A special thanks to Kathryn Hoagland as well as Centenary United Methodist Church Food Ministry and all who brought their dogs to visit Cynthia during her illness. Cynthia's family would like to express sincere appreciation for all those who helped her during her illness, especially Hospice of the Bluegrass. Funeral services will be 11am Tue at Centenary United Methodist Church by Associate Pastor Jeff Carter. Visitation will be 5-9pm Mon at Kerr Brothers Funeral Home, Harrodsburg Rd. Burial will be in The Lexington Cemetery. Pallbearers will be Allen Adams, Bobby Potts, Jim Smith, Calvin Brooks, and Brandon and Sloan Scroggin. Memorials are suggested to the Chris Elliott Fund for Glioblastoma Brain Cancer Research, 704 228th Ave. NE #254, Sammamish, WA 98074 or the , 1065 Dove Run Road, Lexington, KY 40502. 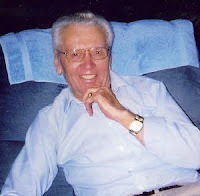 Ira Thomas "Mr. Tom" McManus, age 82, of Long Beach, went to be with the Lord on Wednesday, September 30, 2009. He was born and raised in Crystal Springs, MS. He was a graduate of Crystal Springs High School. He joined the Navy and served during World War II in the Asia Pacific. He was a life member of Eddie Blake V.F.W. Post #3937, Long Beach, MS. He also served as Commander of Robert C. Nail Post 687, Jackson, MS and Post 407 DeLisle. He had 57 years as a member of International Brotherhood of Electrical Workers Local 903, Gulfport, MS, where he served one term as president. He was a member of Shepherds Way Church, Long Beach, MS. He dearly loved his church. He was preceded in death by his parents, Ira Lee McManus and Mary Mertie McManus; 2 brothers, Walter and James McManus; stepdaughter, Barbara Nell Scroggins ; and step-grandson, Tom Garcia; and son-in-law, Cleveland (Bud) Garcia. He is survived by his loving wife and soulmate, Olene W. McManus of Long Beach; daughter, Linda Garcia of Gulfport; son Thomas Gilbert McManus; grandson, Thomas Lee McManus; granddaughters, Crystal Shrmetta and her husband Ken Shrmetta, Misty Lee McManus; great grandchildren, Kadin, Katelynn, Timothy and Luke; step-grandchildren, Donald Griffin Scroggins, Jr. , Kenneth W. Knight, and Steven Lee Green; step-son in law, Donald G. Scroggins, Sr. ; brother, Clarence (Cathy) McManus of Georgetown, MS; sister Helen Sojourner of Gallman, MS. He loved gardening and fishing and once said he asked God for a little corner of Adam and Eve's garden. He was a beloved husband, father, brother, grandfather and friend. The family wants to thank friends L.J. and Peggy Pritchard for all their help during his illness. Visitation will be held from 1pm-3pm on Sunday, October 4, 2009, at the Riemann Family Funeral Home, 19130 Commission Rd., Long Beach, MS. Service will be held at 3pm in the funeral home chapel. Burial will be held on Monday, October 5, 2009, at Biloxi National Cemetery. Memorial may be made to the Shepherd's Way Church, 19201 Pineville Rd, Long Beach, MS 39560. An guestbook may be signed at www.riemannfamily.com.